Another sunny day in Cape Town, with the famed clouds lying as a table cloth on Table Mountain, fantastic sight indeed. In preparation for our trip to the desert a decision has been taken to go to some of Constantia/South Africa’s finest to ensure we don’t miss out on the good stuff. 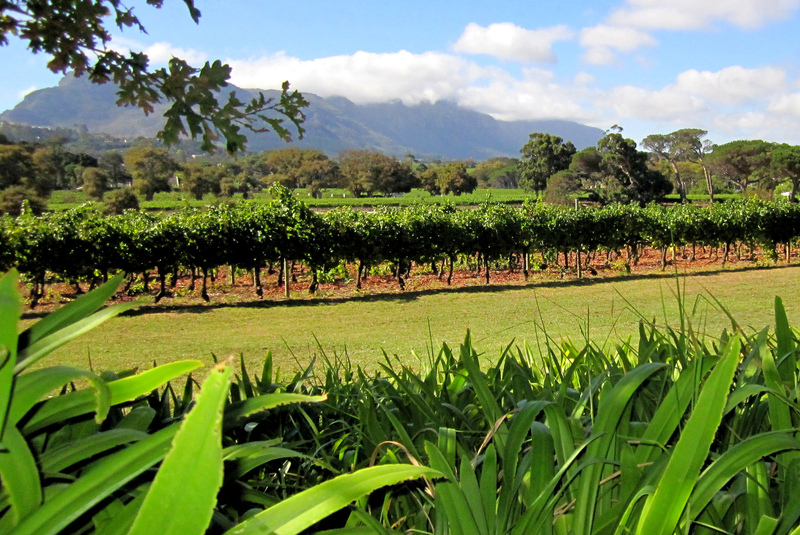 Wow – the wine, food and setting are truly awesome, check out the views of Table Mountain below. There is not much more one could ask for, fantastic. 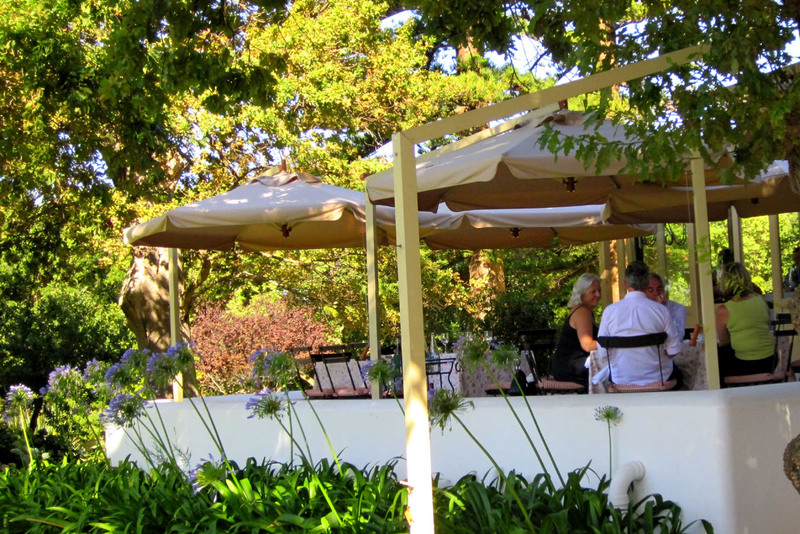 Take a sticky at the Constantia Uitsig restaurant website, note La Columbe will certainly be visited on the eve of my return….life is good. I wish everyone could be here, Rufus, Grizzle and Diplock2 as well as all my fellow gourmands and fitness freaks. Kent and the Lakes got a bit chilly so Africa it is…sorry Rufus/Grizzle Annie needs the land of her childhood. After taking time out in Virgin’s awesome club lounge; a swim, jacuzzi, glass of champagne, a bit of sushi and a manicure; we staggered onto the flight with minutes to spare. Nothing much to report on the flight, 11.15 hours in one place is dull, dull, dull, whatever the fabric of the seats or the attitude of the staff. We arrive to a stiff mist pushing into Table mountain across Camps Bay but find a comfortable poolside temperature of 28 which is fine indeed. 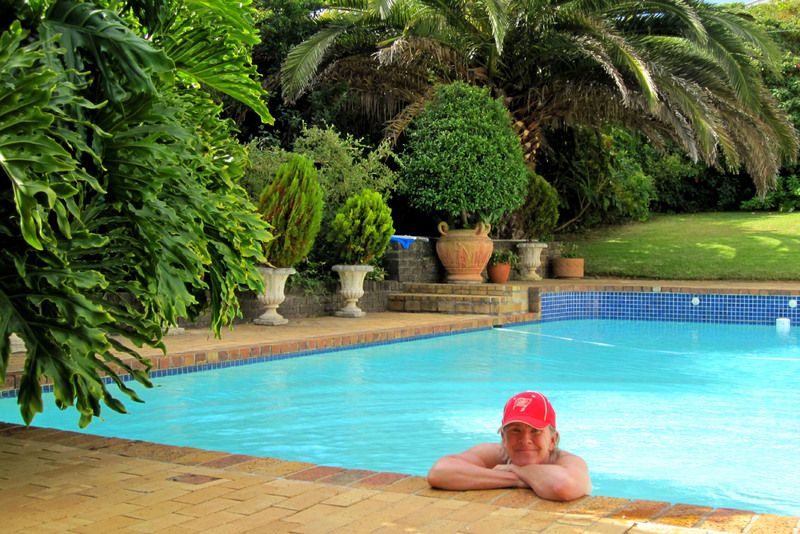 A little sun worship quick swim and then off to plan for the safari which starts in the Namib desert on the 27th. Hope to take some great pics and will certainly put in some helpful links about the region and the places we visit but have only got the usual mini digi camera so cross fingers for the big five, I have never seen a Lion in the wild and cannot wait..